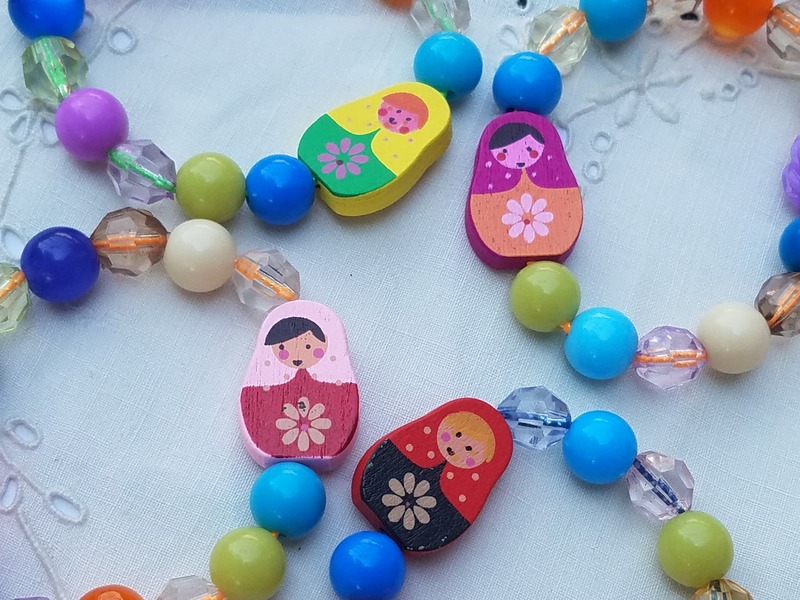 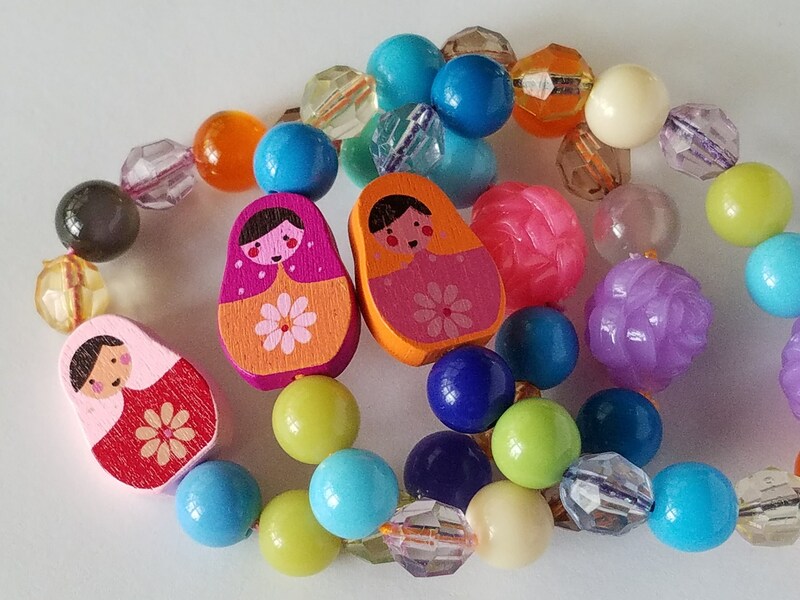 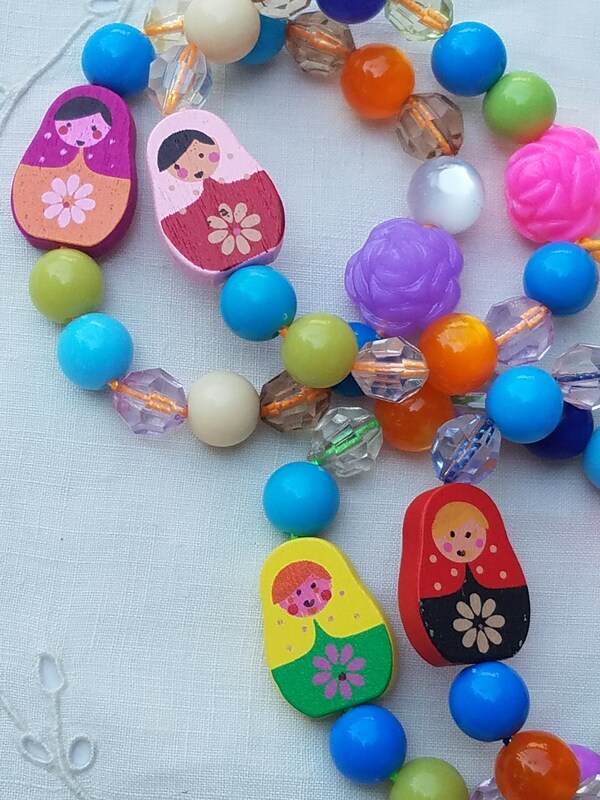 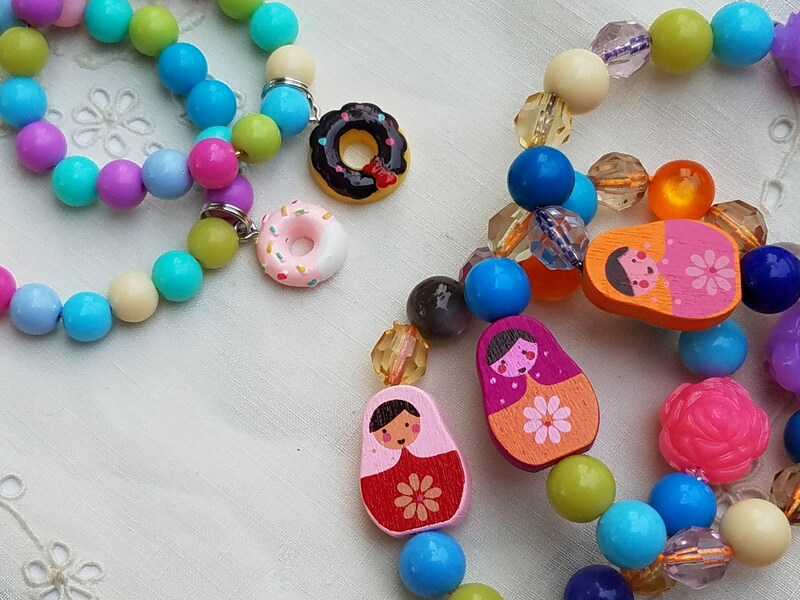 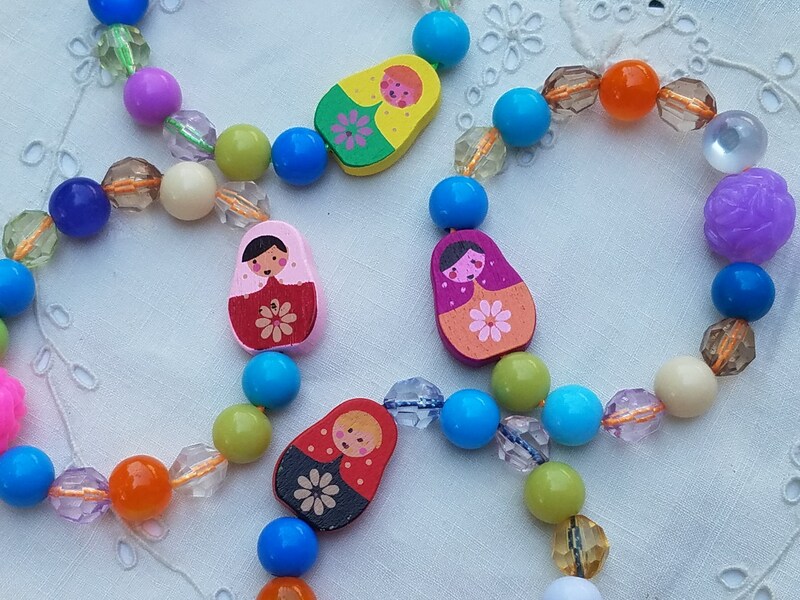 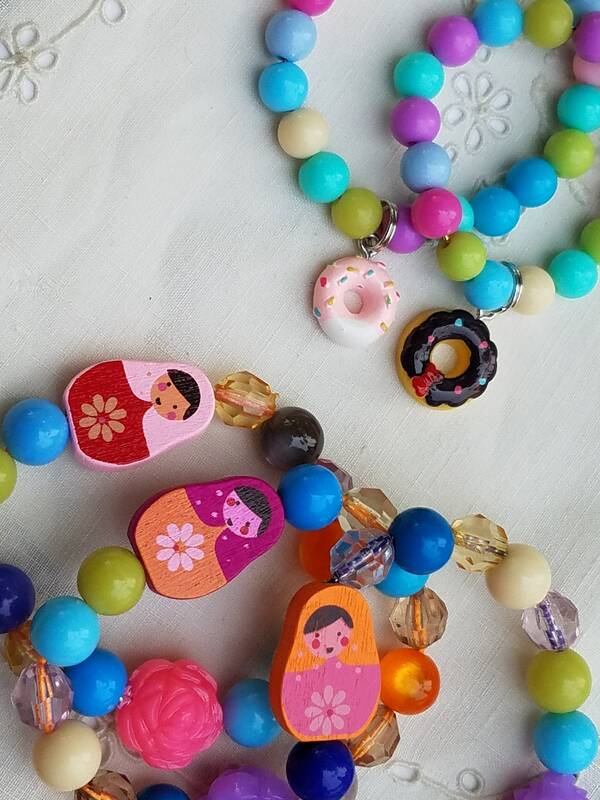 6 Babushka Doll Chunky Round Bead Bracelets. 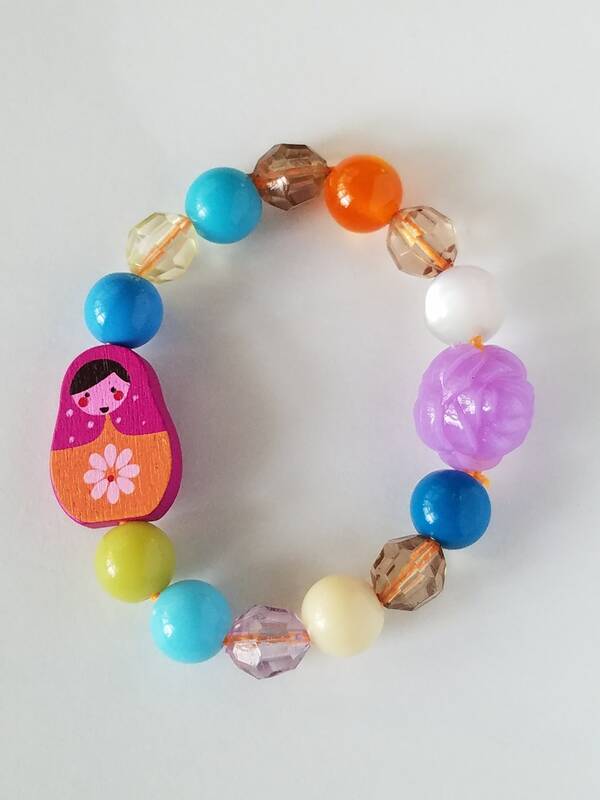 Babushka Doll Charm with round candy colored beads, stretch bracelet strung on stretchy jewelry cord. 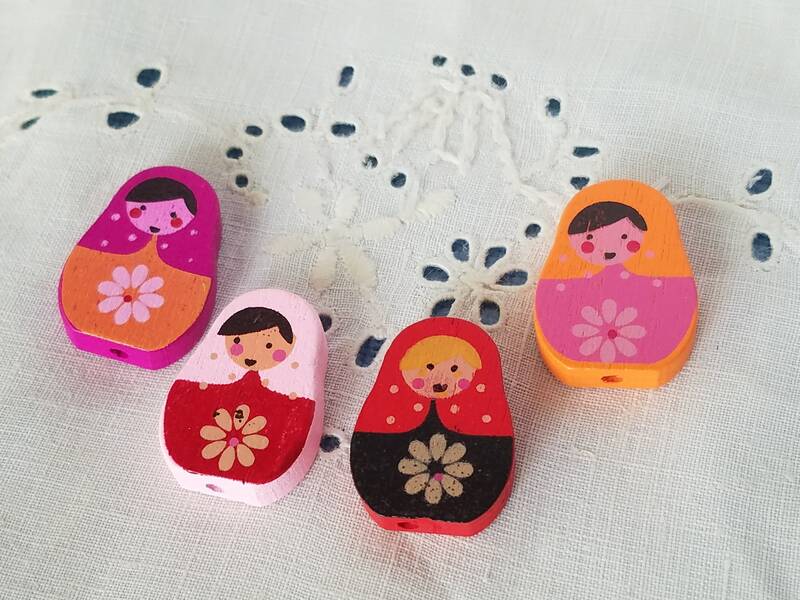 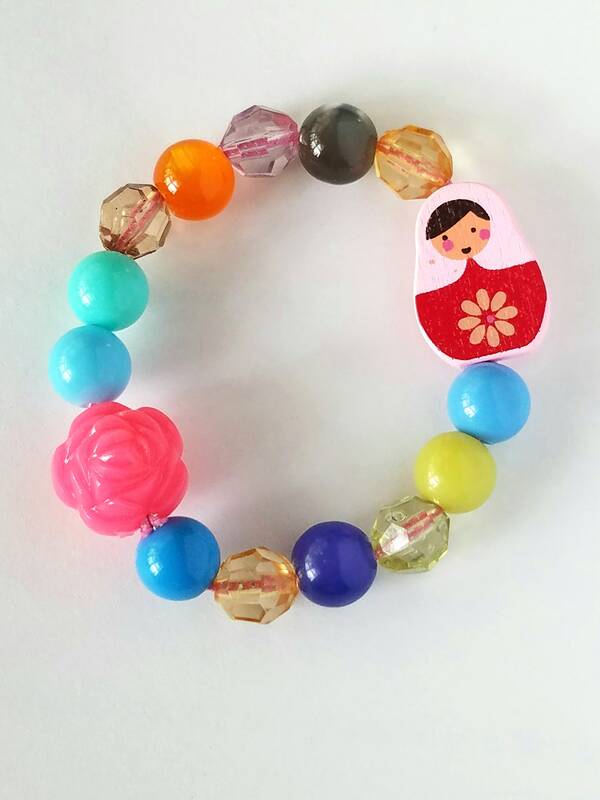 This is a party pack of six Babushka doll bracelets!